I can decipher some of this based upon the information from http://7.62x54r.net. But, I'll take any additional translation assistance offered simply out of curiosity. 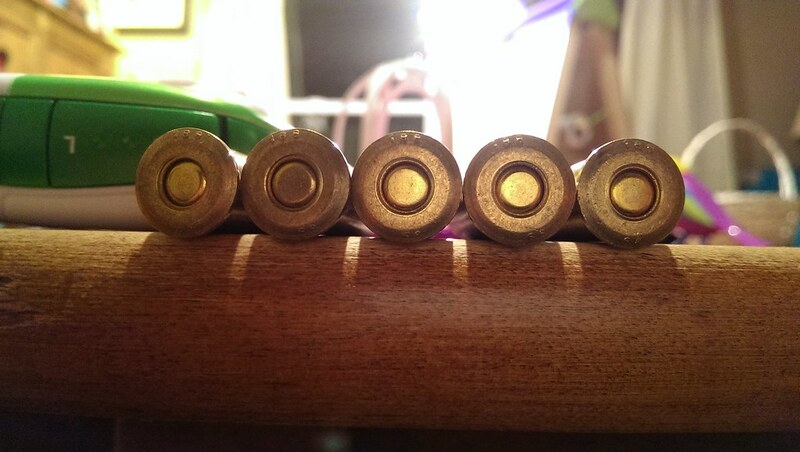 This was ammo purchased from Widener's as "match" ammo. 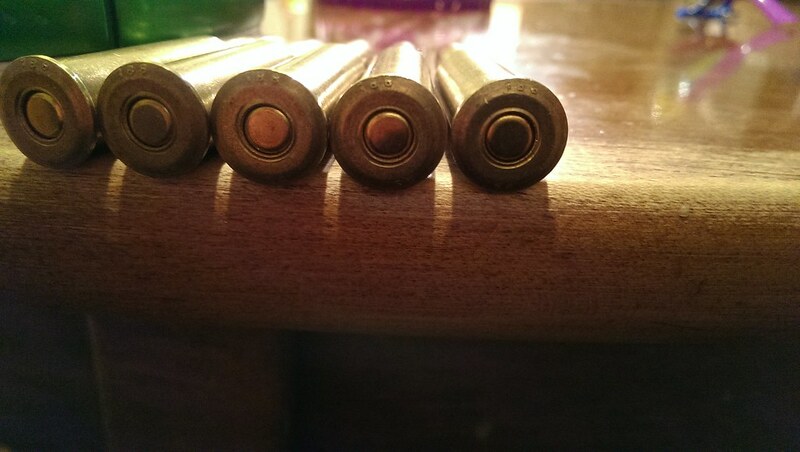 Cartridges made in '68 and powder made in '67. 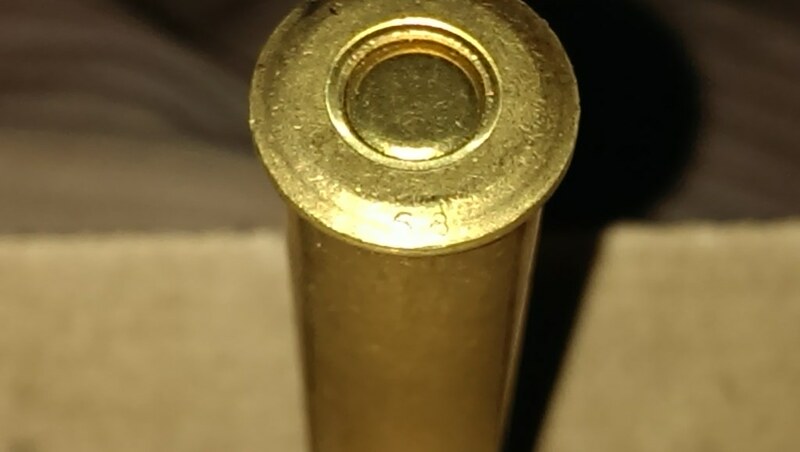 The giant "u" looking thing after 7,62 appears to mean they are match bullets. I can't help with the translation (yet), but I have the exact thing from Widener's scheduled to show up on my doorstep tomorrow. I'm really hoping that my V54 likes it. I'll try to run this by our resident Russian when I'm at work tomorrow. 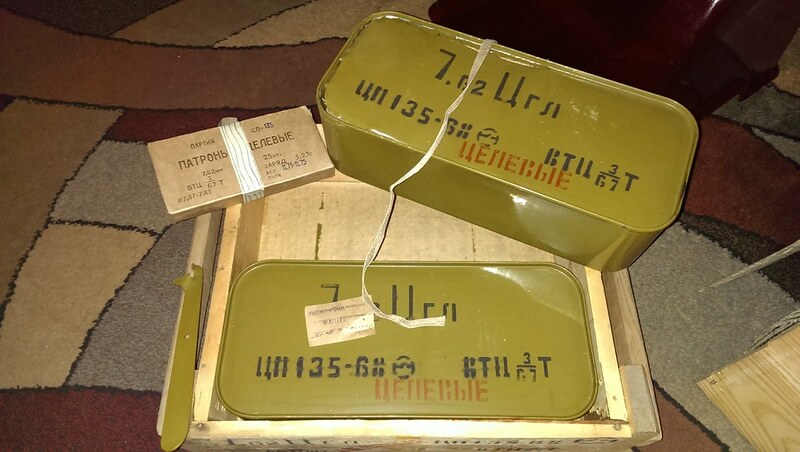 You are correct in that it was made in '68 and the powder in '67 and that "Ц" after 7.62 means match grade. And also correct that "шт" on the box means quantity. The "188" is the factory/plant it was made at. 188 = Novosibirsk Cartridge Plant/LVE. The word stamped in red "ЦEЛEBЫE" means "match." 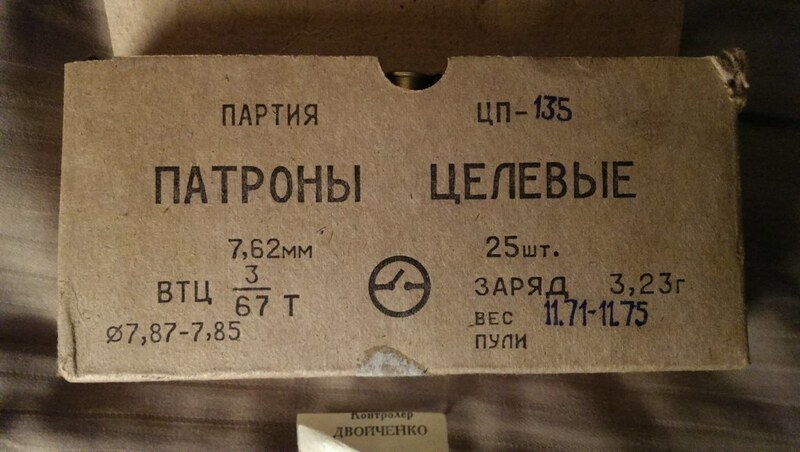 On the box, "ПАТРОНЫ" means "cartridge" and of course again, "ЦEЛEBЫE" means "match." All the other odd-ball stuff on the box, I am not sure about other than the obvious powder type, year, count and etc. Below is a pic of the key to interpret the can (you may know this, but maybe others do not so I'm sharing here). 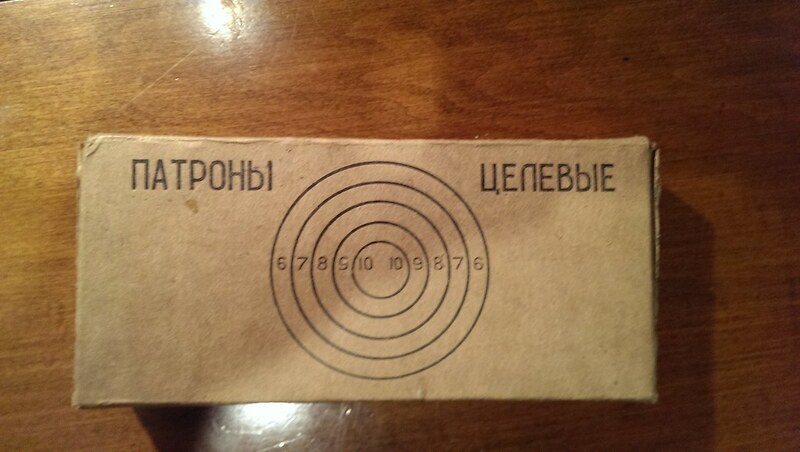 The pic is of a 7N1 can (of course the "ПC" after 7.62 and the word "снайперские" designate "sniper"). There are some pieces I'd really like to know about. 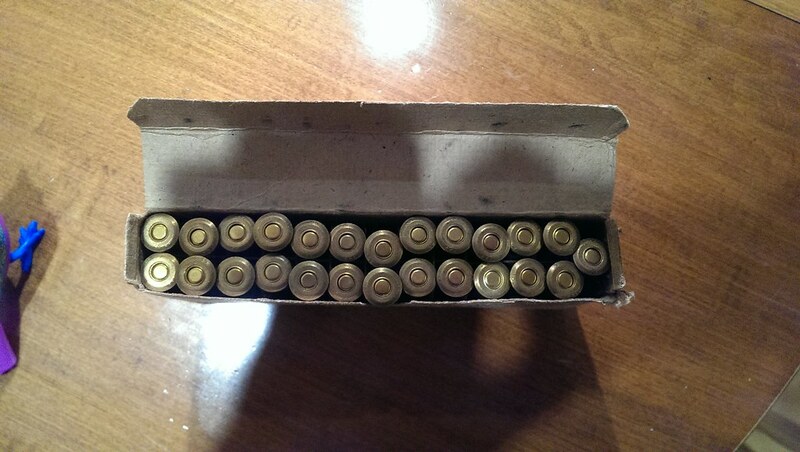 1) the thing that looks like "un" in the upper right hand corner of the cardboard box followed by 135 in blue. What is that accounting for? 2) on the cardboard box, what are the numbers in the lower left in black? 3) on the cardboard box, what are the numbers in the lower right in blue? 4) What is the symbol in the center of the box that looks like a circle with electrical schematic of an open switch? 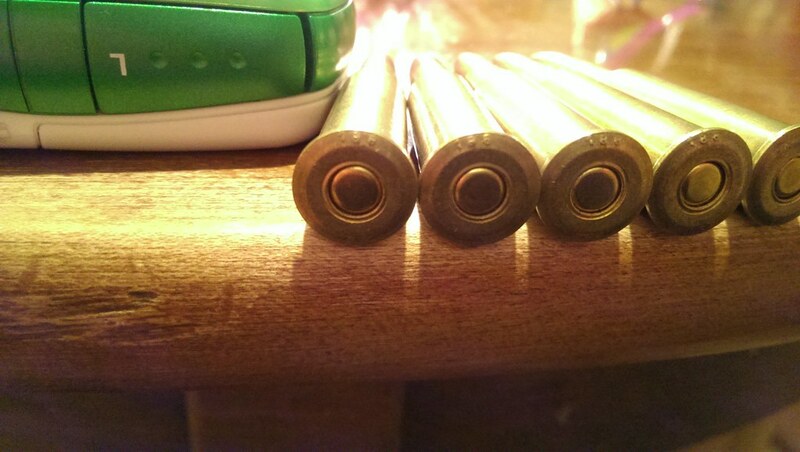 1) It's a batch number ("Партия ЦП-135"), rough translation "Batch Matching Ammo-135". 4. is just what you wrote, an electrical symbol of a switch. It is LVE's logo. Thank you both very much. Cool info. Yes - thank you! I didn't know what each letter in the powder code meant nor what the numbers for #3 were. Thanks!